You’re a purpose-driven woman entrepreneur or coach who wants to create a profitable business that makes a difference in the world. You want to shift and release the limiting beliefs and money blocks holding you back from creating consistent monthly income. You want to leave frustration, doubt and overwhelm behind and easily + effortlessly double, 3x, or 10x your Income, Sales, Profits and Impact. You want to attract more of your ideal clients in your profitable niche because you’re tired of serving everyone, especially the clients who drain your time and energy. You want to create a unique marketing message and authentic brand that resonates with your ideal clients. You want to create irresistible offers, programs and packages that your ideal clients want. You want to create a pricing strategy that empowers you confidently charge what you’re worth and own your value without guilt. You want a Money Mindset that empowers you to stop overworking, over delivering and under charging so you can stop self-sabotaging yourself and your business. You want to create an authentic marketing and selling process that allows you to easily enroll your ideal clients and talk about the investment in your offers without feeling sleazy or afraid. You want to create systems and business flow that work for you, and give you the flexibility to build the life of your dreams. You want multiple streams of income to create time and money freedom. You’re committed to creating your highest vibe life without guilt. You want to play at your highest and best level, serve with love, and make the biggest difference you desire in the world. You’re ready to let go of what doesn’t serve you and say “yes please, more of that” to what does. You’re ready to turn those high income goals in your head into cash in the bank. A profitable business that gives you the flexibility to work less so that you can enjoy more Freedom, Income, Sales, Profits, Time and Impact. You’re overwhelmed, burned-out, frustrated and, sick and tired of strategy and information overload. You’re tired of inconsistent money months and wondering how to build a successful coaching business. You’re tired of asking how to get more coaching clients or how to start an online coaching business. You’re tired of worrying where your next client will come from, or attracting non-ideal clients who drain your energy. You spend all your time researching marketing for life coaches or tweaking your website with the free online information. You’re always stalking the best coaching websites, upgrading your branding, taking another online course, reading more free blogs and articles, and engaging in other time consuming activities that don’t increase your income, profits or attract ideal clients. You hate marketing and selling, and make excuses not to talk to prospective clients about your business. You’re sick of your money blocks and limiting beliefs that keep you stuck in ‘I’m not good enough’ or ‘I can’t afford it’ or ‘I need more training’ stories; You’re wondering why you’re not making money, or why you make money, but can’t seem to keep it. You want to finally make more than enough money with ALL these hacks, strategies, tools, tips and secrets you’ve collected. For a high-performing business woman like yourself, anything that keeps you from being your best in life and business can be challenging. I get it, and that’s why I do this work. My name is MiMi Dabo and I’m a Business and Money Mindset Coach for Women. I support Women Entrepreneurs and Coaches to shift their limiting beliefs, up-level their money mindset, leave frustration and overwhelm behind, and grow lucrative soulful businesses that give them time and money freedom. I have been described as an African girl with a dream. Growing up, my divine dream was to create a support structure where no child is ever left behind. To provide support for 1,000,000 women to confidently provide food, shelter, clothing and the emotional + medical needs for their families. I worked hard accumulating all the degrees I convinced myself I would need to make my fashion and coaching or consulting business dreams come true. I also partnered with various women’s and children’s charities to kick start my vision. Disempowered by my limiting beliefs and self-sabotaging stories around money and low self worth, and frustrated + overwhelmed by all the incomplete advice out there about creating a successful business. Stuck and confused by why ALL the strategies, tools, tactics, tips, advice, and hacks were not getting me the results I desired. Wondering what was missing and why all the great experts couldn’t help. Stuck and struggling with how to up-level my money mindset so that I could successfully implement all the the strategies and tools I had learned. I played small. I hated selling. I wasn’t attracting my ideal clients. I didn’t have a niche. I had no brand. I was resentful and overwhelmed with under-charging and over-delivering. I had an expensive hobby, not a business. I desperately wanted to work with a Business and Money Mindset coach who could support me to work on my money beliefs and create powerful shifts that I could apply to my life and business in real time every day. I knew that I couldn’t create a successful life or business beyond my current limiting beliefs and stories. So I searched unsuccessfully for someone who could work with me to shift the internal crap so that the training, strategies and tools actually help. I was determined to create powerful shifts and success from the inside out without having to wait until the mindset work was over before building a successful business. (Hint – Money Mindset is like taking a shower. It’s ongoing). I didn’t want someone telling me what to do or teaching me what I’d already learned. I wanted a coach who would support me to create my life and business vision. But I couldn’t find a business coach for women entrepreneurs who offered a combination of the soulful coaching for women that I desired and the money mindset coaching bit I needed to shift my money blocks and create the breakthrough for my life and business . So, I stayed stuck, full of ideas and dreams that I had no idea how to process. I settled for my then-comfort zone, balancing my legal career with my fashion side hustle. Even though I was making multiple six figures, I couldn’t create a successful business. I became slightly disconnected with my Source (God) and lost sight of how to be the best version of me. 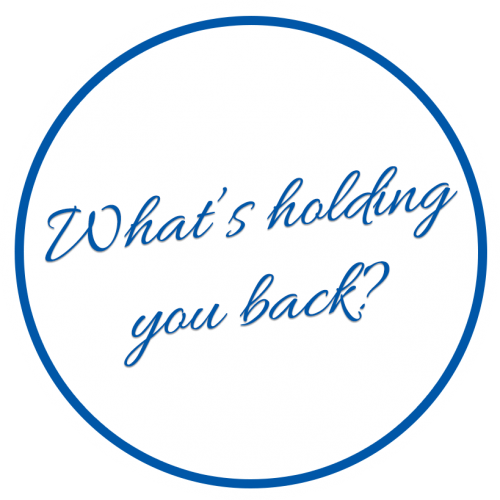 My limiting beliefs controlled my business decisions. Eight years later and knee deep in my self-sabotaging limiting beliefs around money and self worth, I happily took a 73% pay cut for a 5-figure salary and left private practice for the World Bank, where I knew for sure I would make the difference I desired. I languished for another 7 years. My work wasn’t aligned with my dream and commitment. Disillusioned, I stayed stuck, and on the brink of financial ruin. My salary was lower, but my financial commitments and responsibilities had not changed. I was unhappy. I was resentful, broke, unfulfilled and felt like a fraud for not doing work aligned with my life purpose and core values. During that time, I got married and started a family. And then my marriage fell apart. Numb and in shock, I lost my identity and spent two years worried about the impact of the breakup on my then 1.5-year-old daughter and angry that I hadn’t built my business when I had the chance. Emotionally drained and overwhelmed, I lost sight of my purpose. Paralyzed with fear, low self-esteem, lack of confidence and zero worth as a woman, the only thing I excelled at was being a mom. I was disconnected and separate from my faith in God and forgot whose I was. I forgot that everything I needed was right inside of me. How could I empower any woman or child when I couldn’t even help myself? Emotionally and physically exhausted, I was drowning in overwhelm. My fashion business fell apart. I lost my website and my clients. I decided to postpone a coaching career to 2020…. after putting my life back together again. I lost all interest in making the impact I had always dreamed of creating with my business. I was stuck in fear and confusion, and on the verge of an emotional and financial breakdown. Then life threw a much bigger challenge, and I lost my best friend and mentor. I was devastated. But the loss also gave me clarity and courage to step into my purpose and vision for my life and business. 15 years later than I had planned, I finally stepped out in faith and quit my job to be who God was calling me to be. It was the scariest, most exciting, and most empowering moment of my life. Faith taught me that my breakup was one of the most beautiful gifts in my life. The grief and pain sourced my life purpose, which in turn unleashed abundant healing in my life. Abundant opportunities showed up everywhere in my life and business. I was finally able to grow my fashion business, and enroll in a leadership and coaching program that empowered me to make a bigger impact in the lives of women entrepreneurs. A great opportunity to listen to my soul, my intuition and trust that God always has my back. I absolutely love coaching, and I enjoy being a Business Coach for Women Entrepreneurs! I would do it for free even if I wasn’t getting paid. Actually, let’s be honest, I used to do it for free a lot. When I started my business, I was at the height of my money blocks. My relationship with money was disempowering and overwhelming. I started out charging by the hour and trading dollars for hours because I was afraid to charge my worth. I wasn’t ready to own my value. It wasn’t only in my coaching business that I self-sabotaging myself. As a fashion designer, I used to charge significantly less for all my custom, handmade work because I believed that no one would pay me what it was worth. A few months after quitting my job, I hired my first coach. My Life changed. My Business changed. My Mindset changed. My Relationships changed. I grew in my faith journey. This allowed me to reconnect with God, which sealed my value and inner worth, and increased my confidence. I learned firsthand how to create a mindset aligned with abundance, wealth and service AND follow my intuition SO THAT the strategies could finally work. I finally understood why Strategy works better ONLY with premium mindset. I gave myself permission to own my value and my worth AND regain every part of myself. All of the parts I had judged, forgotten and rejected. And to make money, to be profitable and create abundance in my life without waiting for X, Y, and Z to happen first. I sold out of my first clothing and jewelry collection, and finally learned how to truly charge my worth. I also gave myself permission to create a unique niche exclusively coaching women entrepreneurs; combining the core elements of an entrepreneur life coach, a women’s business coach and a money mindset coach. Before stepping out to play at my highest level, I wasn’t even sure that I wanted to niche. But after struggling with growing my business, I dated various coaching niches first to see if we’d be a match. In addition to business coaching for women, I’ve done life coaching for women, divorce coaching for women; been a relationship coach for women, and served as a life coach for working moms. I liked working in those niches, but discovered that business and money mindset work was my zone of genius. I invested the time and money to identify my money blocks and shift my money stories and limiting beliefs (and it’s still a work in progress). I also discovered that like most business women, my money blocks were not just about money. My beliefs around money merely mirrored every other relationship in my life and business. Once I worked on my relationship with money, I created other shifts in my life to time freedom and abundance. I finally recognized that how you do money is how you do everything. Now, I’m joyfully doing the work I love and living my dream; creating massive impact for women and children around the world. Investing in coaching changed my perspective, my life and my business. I stopped waiting to be happy or fulfilled until only after A, B and C fall into place. 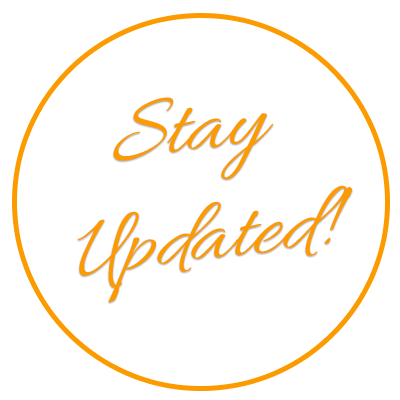 One month later, I prioritized my health and wellbeing, and gained clarity on what I want in my life and who I serve in my business. I learned to focus on who I was being rather than what I was doing. Two months later, I enrolled in a top International Coach Federation-accredited coach training program. Four months later, I shifted my Money MINDSET, and limiting beliefs, created an inspiring business vision and brand, mastered my pricing and packaging of my goods, services, talents, gifts and expertise for the ideal clients in my niche, and subsequently increased my average annual fashion business income by over 700%. A year later, I learned how to BE, DO and CREATE my coaching business in a way that is soul-happy, epic and iconic. Yes, we’re meant to thrive with dream clients and work we love! Transforming what felt like overwhelming confusion in my life + fashion and coaching businesses into ease and flow, in a way that feels powerfully authentic for me. Coaching Women Entrepreneurs and Coaches makes my soul happy! I love what I do, and who I do it with. Whether I’m coaching on how to start an online coaching business, how to build a successful coaching business, or my all-time favorite, how to get more coaching clients, I’m always having fun. I am inspired, blessed and humbled everyday by the opportunity to see women creating thriving businesses, living their best lives and giving back. The fact that they make money from their purpose and passion AND that a portion of every sale in my fashion business, and investment in my coaching programs goes toward my 1,000,000 women and children dream is just the icing on the cake. If you’re ready for success in your life and business – creating lucrative new programs, charging what you’re worth, letting go of perfectionism & overwhelm, and pressing reset on your money mindset – then let’s chat! 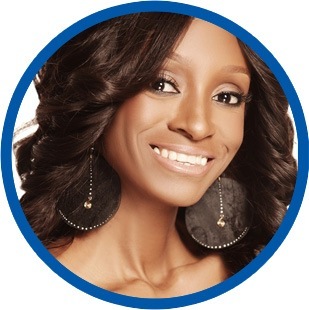 Described as an “African girl with a dream,” MiMi Dabo is the CEO of MiMi Dabo Coaching. She is also CEO of her fashion brand, Miatta MiMi, and is the designer and maker for her fashion lines Boutique Mix and Baby Okra Boutique. MiMi is the founder of the Miatta-MiMi ‘Do Good While You Shop Campaign,’ which benefits various women and children’s charities. A designer + stylist, artist, accountant and entrepreneur, MiMi is also a passionate advocate for women creating their best lives. Committed to empowering 1,000,000 women to confidently provide food, shelter, clothing and medical +emotional support for their families, she left a 15-year litigation career to become a Life + Business and Money Mindset Coach for Women. Working with high-performing women who are committed to making an impact in the world, she supports purpose-driven entrepreneurs and coaches who want to make a difference, to confidently create soul-happy 6-figure+ businesses and their dream lifestyles. MiMi began her legal career clerking on the Maryland Court of Special Appeals and the Federal District Court for Maryland. She later spent six years as a White-Collar Criminal Defense litigator in private practice, representing CEOs, corporate executives and companies in a diverse range of cases. She subsequently left private practice to join the World Bank where she spent seven years prosecuting Fraud and Corruption Sanctions Cases on behalf of the Bank. In her combined private and public legal practice, MiMi has investigated cases and litigated in countries, including Canada, France, Germany, India, Israel, Lebanon, Namibia, Serbia, South Africa, Switzerland, Uganda, and the United States, among others. She has been featured in major media such as The Huffington Post, and she volunteers regularly as an arts and crafts teacher/mentor with a Washington D.C. elementary school and local day care. MiMi has a J.D. from the University of Baltimore School of Law, where she was the co-recipient of the Law School Faculty Award for Unusual Leadership and Service, and served as the Editor-In-Chief of the Intellectual Property Law Journal, and Staff Member of the Law Review, among others. She obtained her MBA, and her B.Sc., in Accounting from Morgan State University. She passed her Certified Public Accountancy Examination in August 2003.